The Federal Aviation Administration is proposing that airlines inspect emergency transmitters in all Boeing 787 Dreamliners after British investigators traced a fire to a transmitter in a parked plane. The FAA announced the proposal Saturday and is developing the inspection instructions with Boeing for the emergency locator transmitters. The proposal, which the FAA expects to finalize within days, will ask airlines to inspect the transmitters for signs of wire damage or pinching. The inspections will also check each transmitter’s battery for unusual heating or moisture. Although the FAA doesn’t require the transmitters aboard large commercial planes, the order for inspections will be mandatory. The FAA said it is relaying its concerns to airlines and regulators worldwide this weekend. 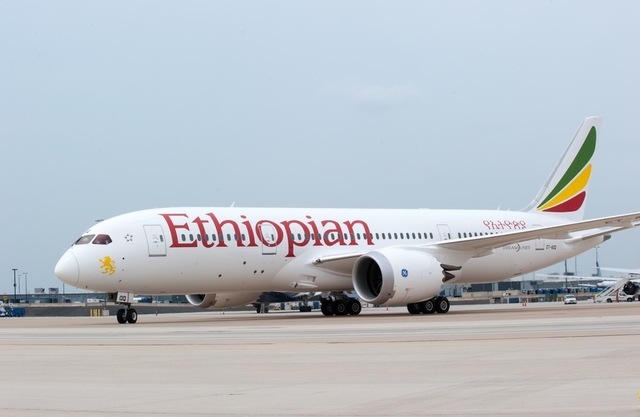 The proposal came after British investigators traced a July 12 fire aboard an Ethiopian Airlines’ 787 parked at Heathrow International Airport to an emergency transmitter powered by lithium manganese dioxide batteries. Although the Air Accidents Investigation Branch found damage to the battery’s cells, it wasn’t clear whether the battery caused the problem or a short-circuit ignited the battery. Investigators said there are 6,000 emergency locators with the batteries on a wide range of aircraft, and this is the first with a significant problem such as the fire. The transmitter’s manufacturer, Honeywell International, supported the British recommendations “as a safety-first-focused company” and said it would assist Boeing and airlines as needed.